I once tasted houbara bustard meat. In March 2015. At an influential royal Abu Dhabi sheikh’s palace. Actually, at the palace’s servant quarters. Pakistani passport doesn’t suit me. I’ve lost two of them as of yet. After applying for a new passport at the Pakistan embassy in Abu Dhabi, I was asked by a friend if I wanted to taste Arab royal food. He knew a Baloch who has been working as a cook at the sheik’s palace for decades. Without waiting for my answer, he called the cook to get our lunch ready. Although after spending years away from home nostalgia has a tendency to make you like everything that comes from home, I didn’t like the taste of the hard, smelly houbara bustard meat. Not even a bite of it. Yes, the meat came from Balochistan. Actually, from my home district, Kech. The sheikh had traveled all the way to the hunting grounds of Kech, a battle zone between Baloch separatists and Pakistan military, to hunt down these birds. “You know, he was held captive by sarmachars (a euphemism for Baloch separatists) for two days,” the ageing cook told us in a whisper. I had already heard of such rumours a few days back, but didn’t want to believe them. The cook might had sensed my suspicions. “My son was with him. Confirmed,” his whisper was more hushed this time. He was right. The Balochistan Liberation Front (BLF), a separatist militant organization that holds swathes of the area, later corroborated the incident with me. Just that? No ransom money involved? After all, a royal Abdu Dhabi sheikh could pay in millions of dollars for his release. “No. We received orders from our top commanders to release him with a warning,” he said. But a year earlier, the BLF seized a convoy of a Qatar sheikh, who was also on a hunting expedition for the same bird around the same area. They took hold of their their 80 million rupees and four brand new SUV vehicles before freeing the sheikh. This money was key to the survival of the then cash-strapped BLF which had recently parted ways with the resource-rich Baloch Liberation Army (BLA). Houbara bustard is an endangered bird and is feared to be extinct soon if Arab falconers and hunters keep putting their lives in danger to kill and eat them for their sexual appetite. But even the lifeless statues of Balochistan’s archaeological sites face extinction. 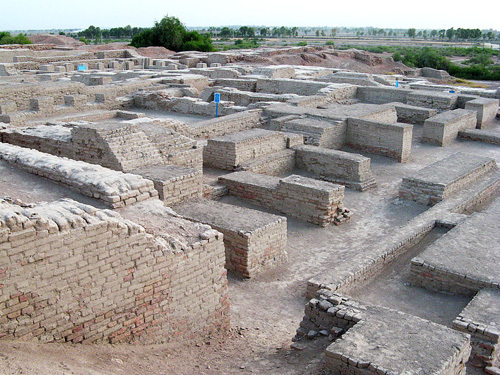 The population of thousands years old town, Mehergarh, had been long extinct. But the remains of the historical site, even the ruined bricks, are soon going to be extinct. There is a market in Quetta’s busy Jinnah Road where shopkeepers proudly tell the buyers the artifacts they are selling come from Mehergarh’s archaeological site. But you can tell the fake ones from the genuine ones. I couldn’t afford a genuine Mehergarh artifact, so I bought a fake one. In 2008, the same year I bought and lost a fake Mehergarh artifact, I attempted to visit the ruins of Mehergarh on my way back to Quetta from Kacchi. On reaching Dhadar, also a historical city in central Balochistan where Mir Chakar Khan established the first Baloch confederacy in 1500, the driver pointed towards a dirt road leading to the ruined town. Excited, I asked him to take the route. His eyes almost came out of their sockets as if I had pointed a gun at him. “It’s too dangerous to go there. The armed men of Rasiani and Rind tribes might fire upon at any unknown person entering the area,” he almost shouted at me. The Raisanis and Rinds, the two most powerful tribes in the area, have long been fighting over the possession of the Mehergarh town. When Yar Mohammad Rind is in the government, the area goes to him. When Aslam Raisani was the chief minister last time, he took control of the town. Their armed men keep digging. Anything they find, they sell it to a willing customer. Sometimes, the customer is a shopkeeper on the Jinnah Road, Quetta, and sometimes it’s an international smuggler of archaeological artifacts, depending on the value. In 2000, a man was arrested for trying to sell a mummy of a princes adorned with a gold plaque found from Balochistan to the international black market for 11 million dollars. Iran and Pakistan almost had a duel over its possession. Later, Abdul Sattar Edhi, a famous Pakistani charity worker, buried it with proper Islamic rites as experts found it was a forged mummy. But the mummies and other artifacts found in hundreds of dambs (archaeological sites hidden under large stone blocks) spread across the Makran region were not forged. As Makran is not a tribal region, any man with a couple of jobless friends and a few shovels could dig them and sell whatever they found inside. None of them was ever arrested by the government of Pakistan and none was stopped by Baloch separatist nationalists who claim to be struggling to safeguard their heritage. “Unless we have our own state, we can’t stop this plunder of our resources and heritage. You talk about endangered species? Baloch is an engendered species. Arab comes once in a while to hunt down our birds. The Pakistan army is hunting down the Baloch people on a daily basis,” said Hammal Haider, the London-based international spokesman for the Baloch National Movement. 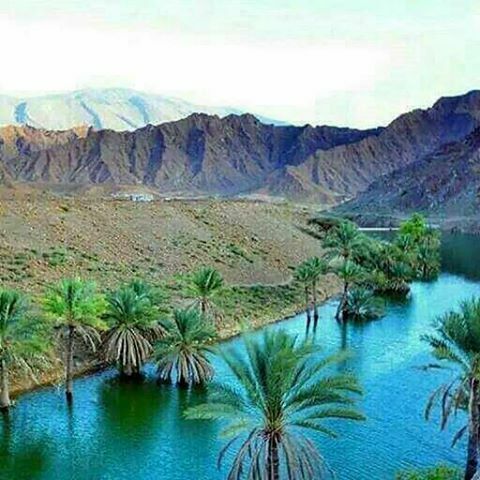 Mehergarh means “the haven for love” (meher for love and garh for haven) in Balochi. There is another town neighbouring Mehergarh. It’s called Zourgarh, meaning “the haven for hate”. And it’s not ruined yet.